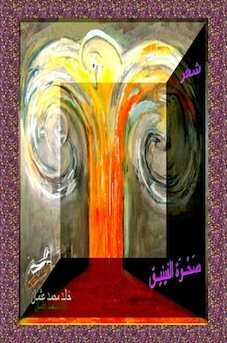 The Political Sense Journal Highlights Politics in Northeast Africa! I have built Political Sense Journal as the site map 14, because the HOA's Network grows faster and bigger. Thank YOU for your sincere efforts that made this network authoritative source. The sense of the political journal is that it highlights hot political issues in Northeast Africa (mainly the Horn of Africa)! Its information bank helps you write political analyses, researches or prepare for Bachelor in politics or other degrees in relevant studies at any college, whether in the area or abroad. 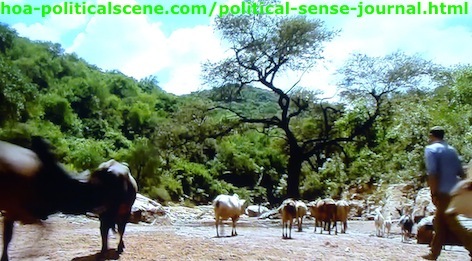 Political Sense Journal: A Village on Omo Valley in East Africa, Where the Political, Social and Economical Situations Prove that the Marginal Areas Suffer from Inequality and Injustice. The web site map 14 includes links to the HOA's Political Scene Newsletter with brief intro to the main topics in each edition of the newsletter. However, this site map is supported by other newsletter site maps, as there are more than 45 editions of the newsletter until now and this number increases gradually. You can skip and go directly to the site map 14 below or read this intro for more information about the development of the Political Sense Journal as a sitemap. I send this newsletter to my list on Sunday every week and it covers the political events in the Horn of Africa through news analyses. The archives are found at HOA Political Scene Back Issues with only links included to some of the editions and some notes. The Political Sense Journal, or the site map 14 includes some of the first editions of the HOA PoliticalScene Newsletter, with some descriptions of the content of each edition. To read the edition you want, just click on its link. I encourage you to subscribe to this newsletter by filling the form you see at the top of the navigation bar and confirm your subscription, since this is a double opt-in list to eliminate spam. You will get some invaluable e-books when you subscribe to the HOA Political Scene Newsletter to maintain your knowledge or to develop something you are passionate about into useful business online. The Political Sense Journal also includes links to other site maps in the Horn Africas Network and some other site maps readers of the newsletter and visitors of the website have built gradually on this network. Thanks to them and you, even if you didn't become a member of this list and part of the Political Sense Journal, or one of the projects at the HOAs Cultural Project. Political Sense Journal: East Africans Dig for Water, When the Rivers Dried. Another Example of the Marginal Areas' Policies Different Regimes Implement in the Area. This is the first issue of the political newsletter that started at the eve of last Christmas. However, this newsletter has been online since 2004. I named it that time the Ezine Act Newsletter, as the political newsletter at that website and supported it by the Wise Biz, as business and love newsletter. The first issue began with the call of the Crisis Group to enforce great pressures against the leader of one of the most dangerous Sudanese dictatorial regimes to dismantle the system of impunity for atrocity crimes and to pave the way for settlement and peace in Darfur. This edition speaks about the continuous enter-ethnic clashes that left at least 185 people mainly women and children dead. The ethnic clashes are not only in the marginal areas of Sudan, but they are even in the north of the devastated country. The tension seems to escalate and that made the aid workers fear the rising of malnutrition to high level following high numbers of displaced people. Some Lou Nuer said that the Murle attacked them and the Jikany Nuer blocked boats from getting to them. This edition calls revolutionist people in the Horn of Africa to gather and organize one big umbrella with different branches and enrich it by strong framework to achieve two goals. The first goal is to empower the people to achieve political changes in their countries and build that framework there. To do this, it is important to implement the USHA Framework to build the United States of the Horn of Africa (USHA). Yes, I have a dream. That is the dream. What is missing though is to get those revolutionary people together. We started. This scheme does not involve The Business of Politics you read here. It aims to recover from the political, economical and social deterioration that followed the independence of many countries since 50 years ago or more. 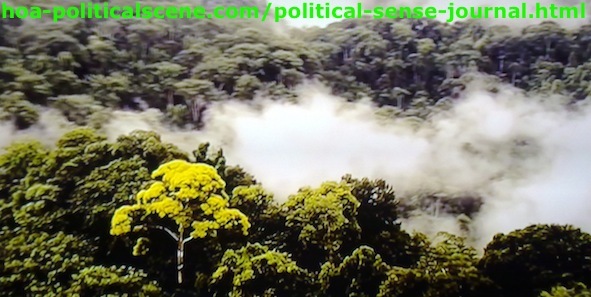 Political Sense Journal: East Africans Rainforest Existed for Million Years. Read about Places Where the Rain Forests Spread in the Past From Kordofan in Sudan and Gondar in Ethiopia to Many Other Places in East Africa at My Daughter's Website. 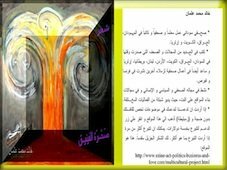 This issue contains the regular updates at the HOA Political Scene Blog and news about publishing my Arabic poetry book, Wakening of the Phoenix, or Rising of the Phoenix in Cairo and the availability of the book in the Egyptian Book Fair and at Phoenix Order. You can get it from this website too. This edition asks; what happens when two elephants fight each other. The answer points to Eritrea and Ethiopia and the results of the last Ethio-Eritrean Wars. The wars have broken the brotherhood's ties between the two people and damaged the revolutionary struggle of the Sudanese people. It only because of the last war that the Sudanese opposition found itself pressed to fall on the arms of the dictatorial regime of Omar al-Bashir. The results of the wars caused the Sudanese opposition to retreat and the involvement of the two countries in Somalia, of course, made the people lose the hope of being untied in the Horn of Africa. In spite of these negative impacts on the unity of the Horn of Africa, none of the two leaders has the passion to concede a little to prevent more deterioration. Regarding this point, we sincerely hope that the last wars will be the last and there should be a way to medicate the spiritual and human damages of the wars and get back the lost love between the people. Clear frame of minds will help solving (the imagined complexity) in the area and the framework we intended to build will repair the differences and the bad tribal feelings. The military religious regime in Sudan err and win the political scene continuously. This edition of the political sense journal goes deep beyond this fact to analyze the situations and highlight the reasons. The military dictatorial regimes and the Sudanese sectarian parties we call civil mechanical majority dictatorial regimes kept different people of Sudan loyal by maintaining political illiteracy and sectarian religious beliefs. They rule through a policy of absenteeism to "donkeynize" the people. This policy runs in turn until this moment through what we call at HOA, As the politics of myth. This Sudanese political parties has created this policy and carried with it through the late history of Sudan since the independence from Britain in 1956 to keep those semi sectoral elites leading the political scene. But, the recent dictatorial regime has taken it verbally to implement and develop it to create aggressive fundamental armed groups in Sudan and supported it by importing other similar extremist groups from Afghanistan, Iran, Mali, Yemen and other states to Sudan. The 7th edition says, when it comes to the 2010 elections that a forgery plan is developed by the military dictatorial regime in Sudan to enable this octopus Muslim Brother's party to come back to power but as legitimate ruling party this time. They established the Elections Commission and prepared the entire framework to achieve this goal. However, strong political party in addition to some movements from the southern and western Sudan are working there to enlighten the people. The 8th edition continues to reveal the secret agendas between the military religious regime in Sudan and the election commission. The Sudanese Communists Party and those movements called for changes in this process and encouraged the people to enforce those changes. Demonstrations followed against the regime and its election commission to keep the process clean and to play the political game smart. The ninth edition highlighted the political updates in the area associated with the editions of the last weeks. It has also a preamble to the policy of superstition, which some regimes in the area use to manipulate and brain wash the people of the area to remain loyal to their policies. Is it strange that the superstitions are used by different religious regimes in the area? Read more about it at the linked concept. All those editions of the HOA's Political Scene Newsletter follow also the development of this website and the articles and comments readers wrote in this network, all of which you can view and read on the site maps below. Since the HOA's Political Scene Newsletter grows steadily, many links to the new editions may not fall in the site map 14. However, you can reach those editions at the back issues link and the political newsletter site maps above. Better, subscribe to the newsletter to follow our updates. You can also share Political Sense Journal, the Site Map 14 in HOA with your social media services through any of the buttons on the page. Thanks. If you liked the Political Sense Journal with the Newsletter site maps, please tweet it, share it with your social media network and pin the pictures on this network. Better, subscribe to the newsletter to follow our updates. Thanks. Want to contribute to Political Sense Journal or this network and write about the political development in ANY state in the Horn of Africa? You can use the form below to comment on the Political Sense Journal, or to write about political, economical, social and cultural issues in the area. Please enter your name, location, email address and check the box that asks you if you want to receive notifications about replies to your article or comment. The system will not publish your email address. This automated system will send you only notifications to follow up. However, if you want to comment or write about your city, village, or Any Beautiful City, in the Horn of Africa, please do that at the beautiful city on my daughter's website linked here. Thank you very much. I use the following strong website building and optimizing tools to build the Political Sense Journal and my passion for politics. Make Sense of Good Politics... With Us!